Kindle Voyage Review: Paperwhite vs Voyage|Which Kindle is best for me? 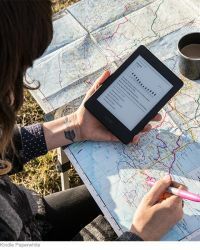 Amazon's Best Selling Kindle Paperwhite Wi-Fi + 3G and Voyage Wi-Fi + 3G are high resolution kindles that reads like a real paper. The advantage of using 3G is you can downloa books anytime without the need of Wi-Fi connection. The difference between Kindle Paperwhite and Voyage is the Adaptive light sensor facility available in voyage which enables reading in dark. 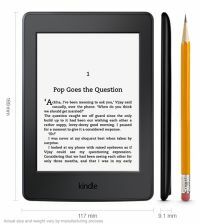 You can see list of our Kindle Voyage Review: Paperwhite vs Voyage|Which Kindle is best for me? below, perform Side-by-Side comparison. If you need further help, do have a look at Conzumr Guides and Tips. Alternatively you can view all Kindle to choose your own favourites.